A rich, inviting blend of voice and instrumentation lifting to heaven. Thank you for sharing! 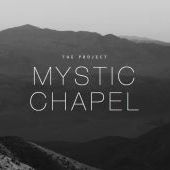 New song from The Project's release "Mystic Chapel"
The lyrics to this song are adapted from the Easter Vigil Liturgy of St. John Chrysostom (5th century).